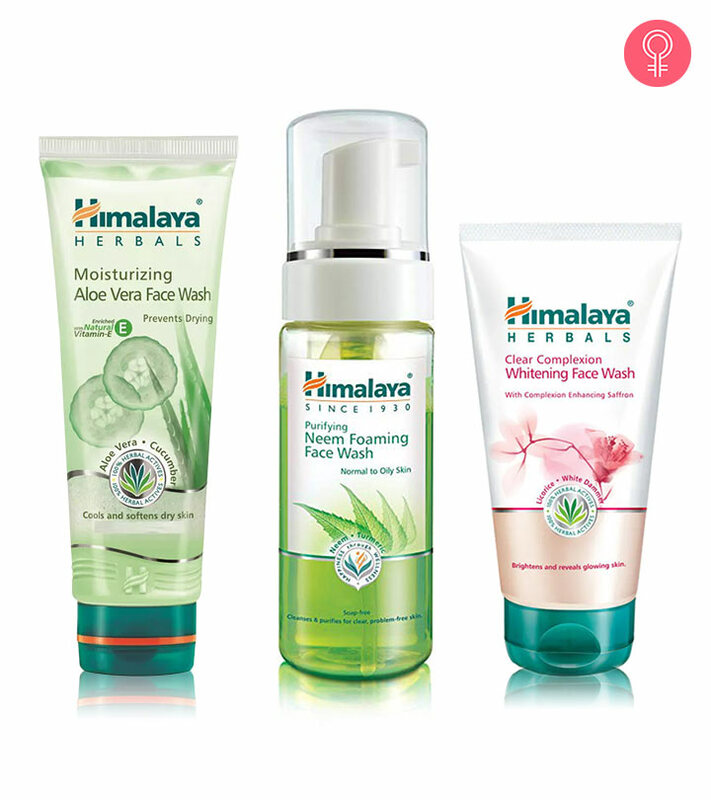 Skin care products from Himalaya Herbals are reliable because of their herbal formulas. Over the years, this brand has carved a niche for itself as a pioneer in herbal skin and hair care products. 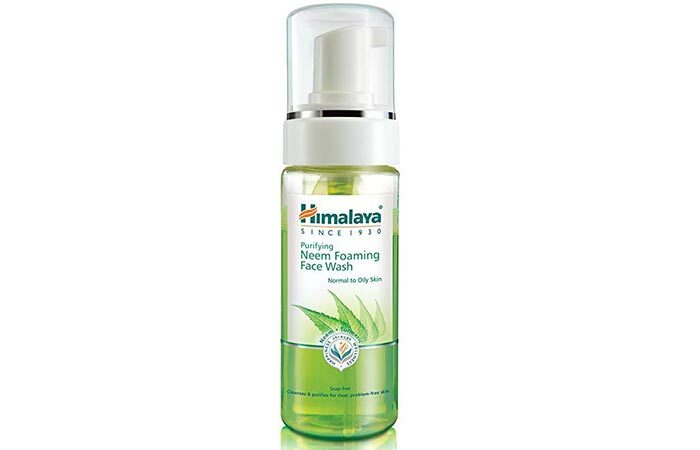 Here, we have compiled a collection of the 10 best Himalaya face washes that are available on the market right now. Read on to know more. Himalaya Herbals Purifying Neem Face Wash has a herbal formula that removes the excess oil and impurities that clog your pores. It contains neem and turmeric that prevent future acne. Neem has antibacterial properties while turmeric is a natural antiseptic. It evens out your skin tone and gives you soft and clear skin. 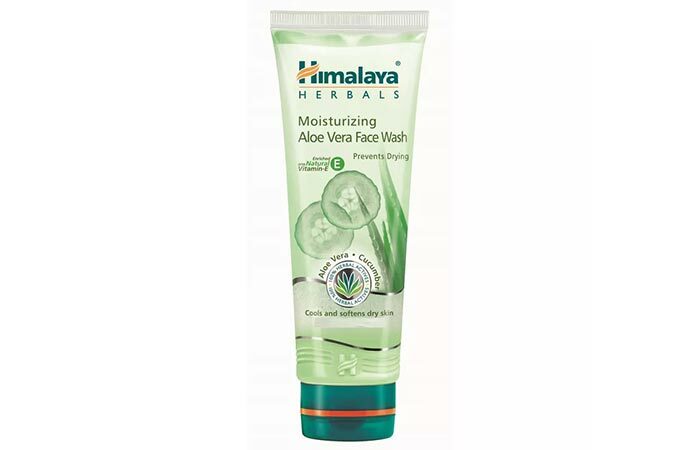 Himalaya Herbals Moisturizing Aloe Vera Face Wash replenishes the lost moisture of your skin after every wash. It nourishes dry and stretched skin. It is enriched with cucumber that cools and soothes your skin and aloe vera that tones and softens it. Its gentle formula contains natural ingredients that cleanse your skin, leaving it feeling fresh and glowing. 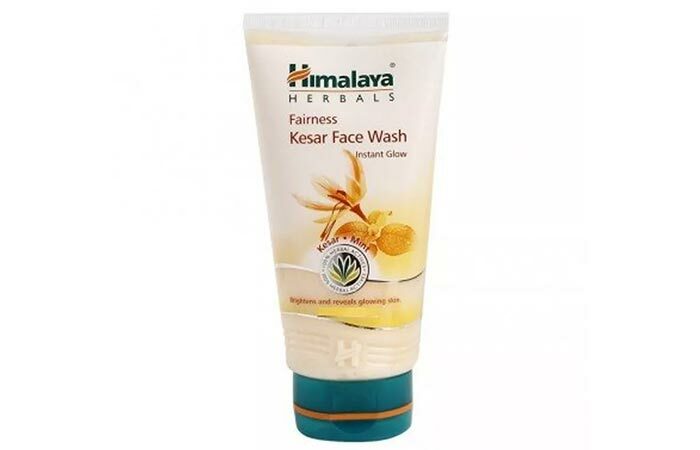 Himalaya Herbals Fairness Kesar Face Wash is an excellent facial cleanser that brightens and rejuvenates your skin, giving it a healthy and natural glow. It is enriched with kesar, which is well-known for its complexion enhancing properties. Using this face wash regularly gives you fairer and brighter skin. The pomegranate extracts in this formula nourish your skin, while mint and cucumber soothe and refresh it. 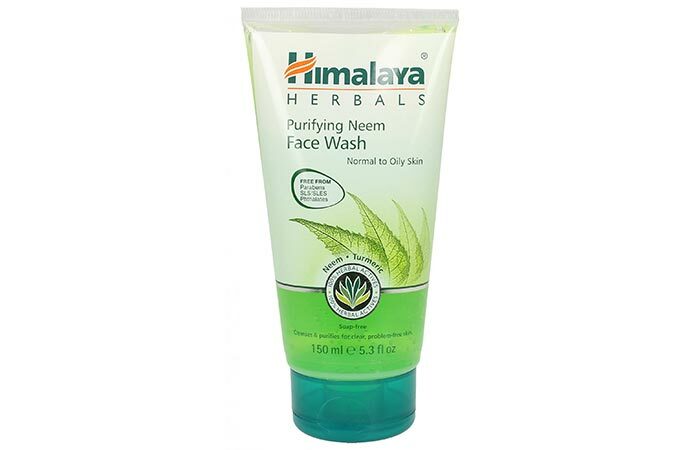 Himalaya Herbals Purifying Neem Foaming Face Wash is a mild herbal formula that cleanses your skin deeply by removing impurities and excess oil. Unlike soap, foam does not leave your skin feeling stretched or dry. The antibacterial properties of neem kill bacteria while turmeric controls acne and pimples. Regular use of this face wash gives you refreshingly soft, clear, and supple skin. 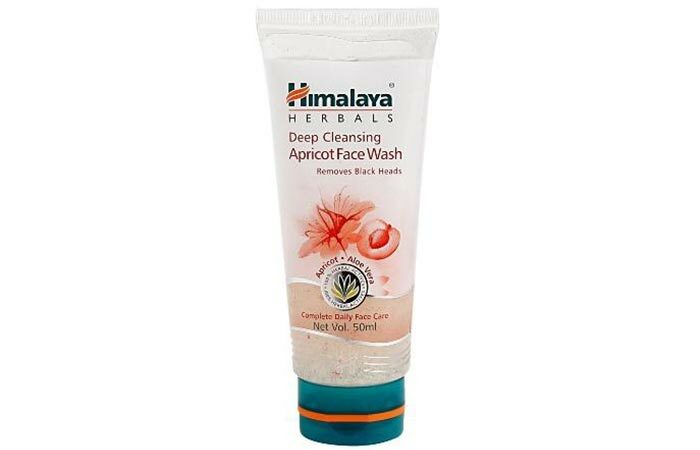 Himalaya Herbals Deep Cleansing Apricot Face Wash gently removes dead skin cells and unclogs pores to reveal softer and smoother skin. It eliminates blackheads and prevents recurrence of acne. It is enriched with the goodness of red lentil, apricot granules, neem, lemon, and aloe vera. Its regular use gives you skin that is deeply cleansed and well-moisturized. 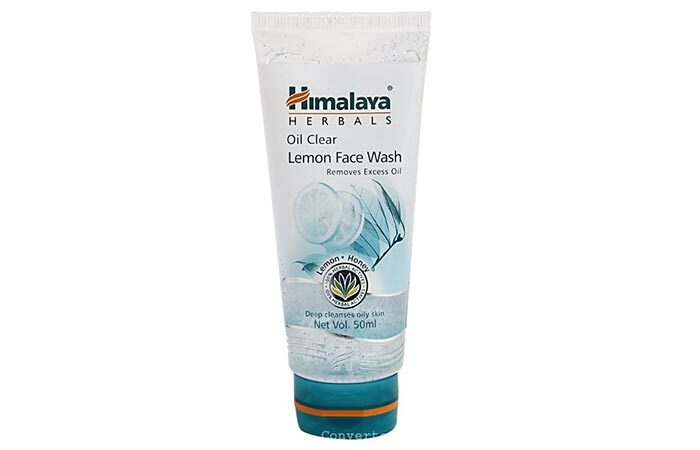 Himalaya Herbals Oil Clear Lemon face wash is a soap-free, herbal formulation that gently cleanses your face and removes excess oil. The lemon extract in this face wash acts as an astringent and cooling agent. Honey has deep cleansing properties that help eliminate dirt and grime without making your skin feel dry or stretched. It also helps fade freckles and age spots and removes blackheads. 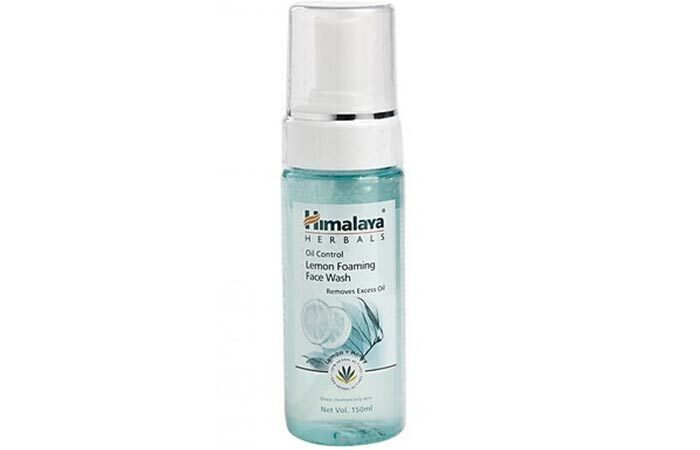 Himalaya Herbals Oil Clear Lemon Foaming Face Wash gently cleanses your face and removes excess oil. Its formula contains a blend of lemon and honey. Lemon is a natural astringent and cooling agent, while honey possesses natural deep cleansing properties. This facial foam nourishes and purifies your skin without making it feel dry or stretched. Himalaya Herbals Clear Complexion Whitening Face Wash removes dark spots, cleanses skin, and clarifies impurities to reveal a clear, radiant, and smooth complexion. It contains saffron that helps clear your skin of spots and blemishes. The licorice and white dammer extracts in it regulate melanin synthesis to restore your natural fairness. It also contains pomegranate to nourish and cucumber to soothe your skin. 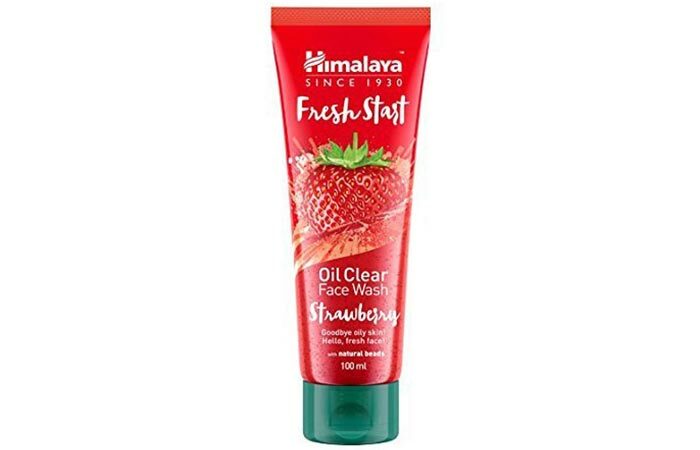 Himalaya Fresh Start Oil Clear Strawberry Face Wash contains strawberry extracts in the form of natural beads that revive and energize dull, tired-looking skin. The deep cleansing provided by this face wash clears your skin of oil and dirt. Its regular usage gives glowing, healthy, and refreshed skin. 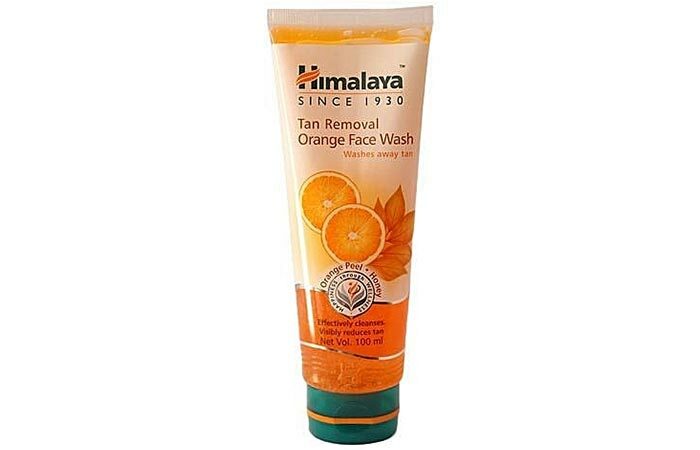 Himalaya Herbals Tan Removal Orange Face Wash is created with a natural formula that deeply cleanses your skin and helps reduce tan. It contains natural ingredients, such as orange peel extracts, papain, and honey. It tones, exfoliates, and moisturizes your skin effectively. The key element in it, orange peel, is a potent cleanser that conditions and improves your skin texture by protecting it from damage caused by free radicals. 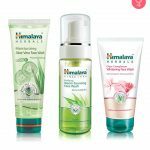 Those are the best Himalaya face washes for different skin types available on the market right now. Which of these do you want to include in your daily cleansing routine? Let us know in the comments section below.